Books! I used to take two or three novels with me while traveling. It was hard to choose them because I knew, that they would be the first to be left behind were I needing room when packing for my return home. Where was I? Ah yes…Lots of books and my journal and/or sketch pad. Modern technology makes things a lot easier. These are my new traveling companions. As you can see, I’ve already started recharging them. But what do you do during that time between taking off/landing and when you’re asked to not use your electronic toys so you won’t crash the plane??? You’ve got sometimes as much as 15 minutes of dead space. I do, anyway, since my journal is on my iPad. Thanks to my older brother, I know what to do. 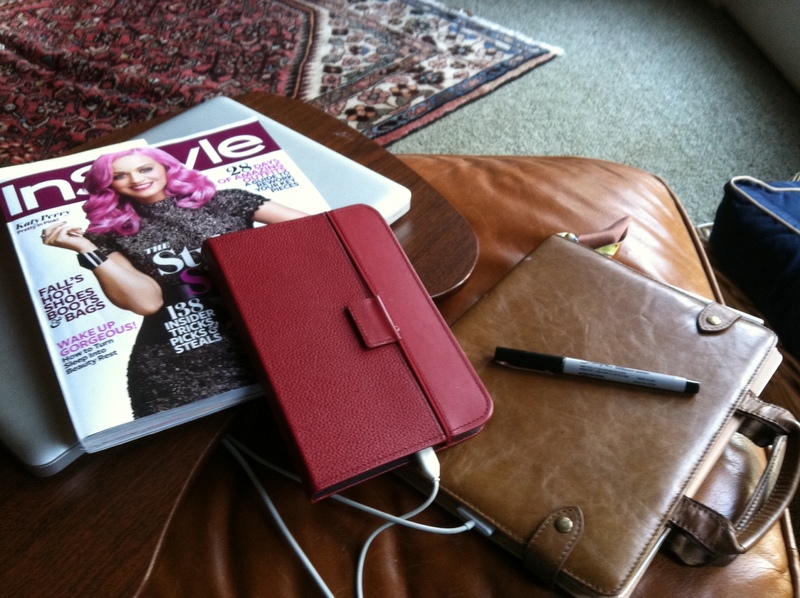 In addition to my Kindle and iPad….I know….I don’t really need a Kindle with an iPad but my eyes don’t hurt so much reading with a Kindle….I bring a Sharpie pen and a magazine. In truth, I use the in-flight magazine, and that really lighten’s my load considerably but, for this demonstration I’ve substituted an InStyle magazine. 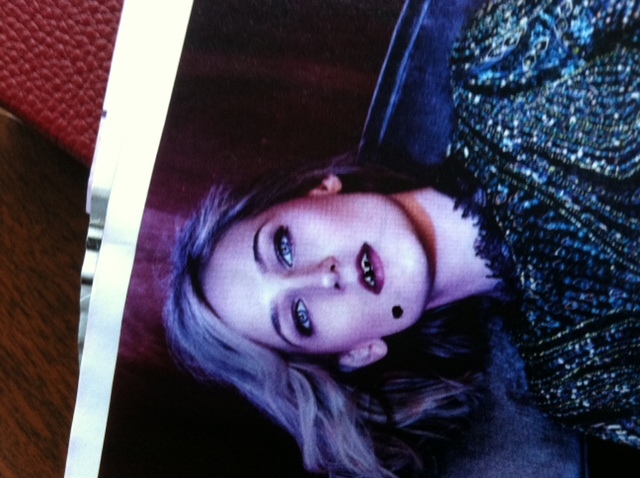 When you see the InStyle Magazine, simple think ‘in flight magazine’ and you’ve got the idea. 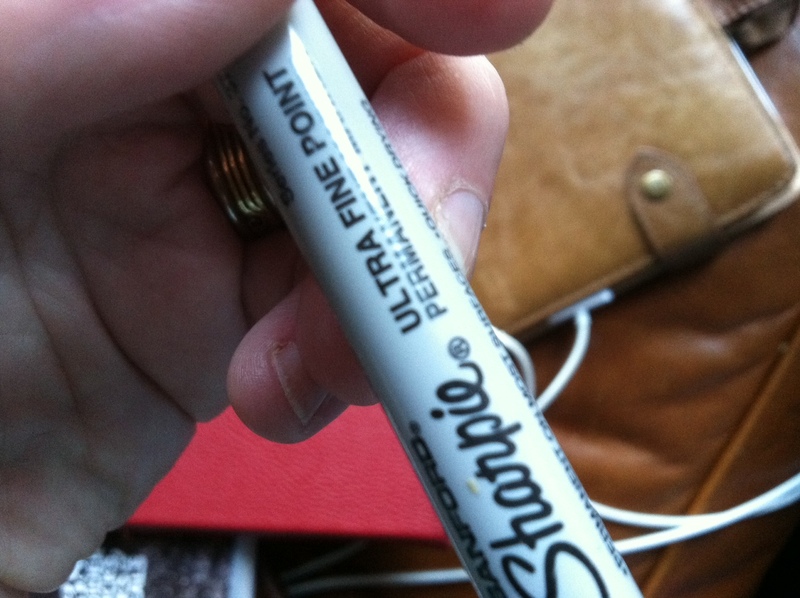 It’s important that your Sharpie is extra fine. And permanent. 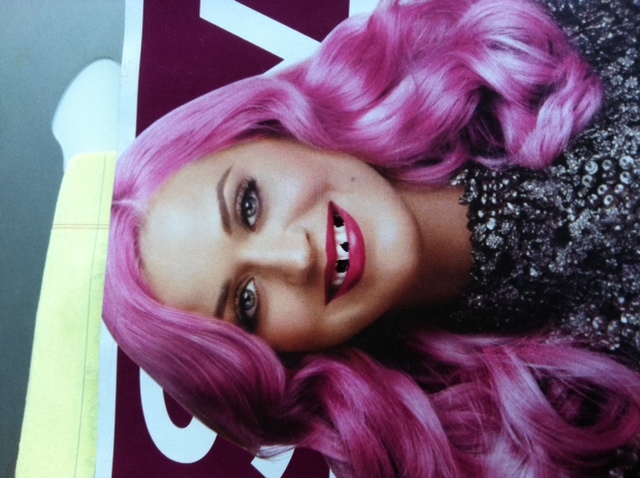 We’ll use the lovely Katy Perry as a demonstration, but I think it tacky, really, to use a) a celebrity and b) the front cover, because when you leave the magazine for the next person, it’s always a delightful surprise if they don’t know what’s coming. Oh…do you remember all those limp-lipped models I was talking about a couple of weblogs ago? Now’s the time to get even! AND SO…..the next time you’re on a really long flight or delayed on the tarmac for god-knows-how-long, give this a try. 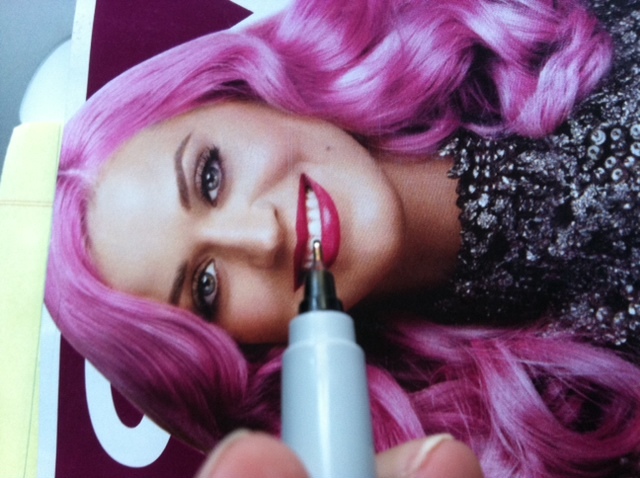 Note to self: don’t forget to pack the Sharpie in the carry-on.